Note: When writing this blog, the Azure portal received an update which allows for switching directories. Unfortunately, this feature hasn’t been ported to the other Office 365 admin UI’s at this moment. Being a consultant, you often find yourself having to switch tenants, or having to keep multiple admin portals open to different Office 365 tenants. This may become a nuisance, as you can use only a single set of credentials per browser instance. In other words, if you connect to the Office 365 admin portal using credentials A, opening up the Azure portal will be in the same context. A typical workaround for this situation would be to open up a new private browser session. From that private browser session, you need to provide credentials B. Any new tabs in that private window will also be in the same context. The whole private session is hosted in a new window. This blog is written based on Firefox Multi-Account Containers, so your mileage may vary if you’re using Chrome or a 3rd party add-on. Firefox also supports a basic version of context switching natively via about:config, setting privacy.userContext.enabled. I’m not aware of similar features or 3rd party add-ons for other browsers. Unlike the Chrome extension, FireFox’ Multi-Account Containers allows you to have multiple sessions from within the same browser. For this purpose, tabs are used to arrange sessions in what’s called containers. Each container shares the same set of site preferences, sessions, cookies etc. To identify containers, they can be assigned a (new) name, color and symbol. After installing the add-in, you will get a button that will open the container selection window. In this example, I have set up 4 containers besides the default ones: one for every customer and one for my lab. Selecting Contoso will open a new blank tab. The right side of the address bar contains a visual reference to the active container, showing label and symbol in the configured color. Now, when you go to portal.office365.com, the Office 365 account picker may show up when connected before using this container. Pick one, or enter a new set of credentials. This account will be stored in this container. The question of wanting to stay signed in makes more sense now, as the token will be stored within the container, happily coexisting with other Keep-Me-Signed-In settings and sessions from other containers. Now, when you open a different admin app in that tab, it will be in the same container and thus user context. You can also select to open a blank tab in that container, and navigate to portal.azure.com. You will notice it picks up the Contoso credentials provided earlier. This is because the session information is stored within the Contoso container. Now click the container icon again, and select a different container, e.g. Fabrikam. Navigate to portal.office365.com, and you will notice you can provide new (or re-use) credentials which have a different context than Contoso. Also, opening the Azure portal after that in this container will be in the Fabrikam context. Having set this up properly, you can easily switch between all admin portals from different tenants by selecting the different container tabs: no need to switch accounts or firing up separate private browser windows. This is a more elegant solution compared to private browsing sessions. 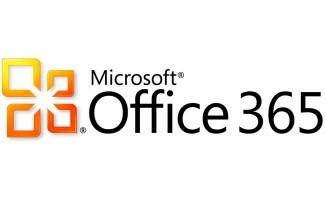 A final note that the above not only can be used to access the Office 365 admin portals of multiple tenants, but web-based applications such as Teams, Outlook Web Access or SharePoint as well. With the speed of development in Office 365, it is sometimes hard to track which changes have been made to your tenant. Of course, there is the roadmap and message board which you can use to keep up to date, but those are in general high level descriptions. Sometimes you may want to see what are the changes at the cmdlet level in your tenant, between tenants, or Azure Active Directory module. And there is also the occasional gem in the form of a yet undocumented cmdlet or parameter which could hint at upcoming features. Export information on the current cmdlets available through Exchange Online or Azure Active Directory. Compare two sets of exported information, and display changes in a readable way. The script is in PowerShell (of course), and is called Compare-Cmdlets.ps1. To export information, you need to be already connected to either Exchange Online or Azure Active Directory (or both). For Exchange Online and Azure Active Directory, separate export files are created. The files are prefixed with a timestamp and postfixed with the Exchange Online build or Azure Active Directory module version, e.g. 201803121814-ExchangeOnline-15.20.548.21.xml or 201803121815-AzureAD-2.0.0.137.xml. A progress bar is shown as comparison might take a minute. When the script has finished checking the two sets, you will see output indicating changes in cmdlets, parameters or switches, e.g. You can find the script on the TechNet Gallery or GitHub. 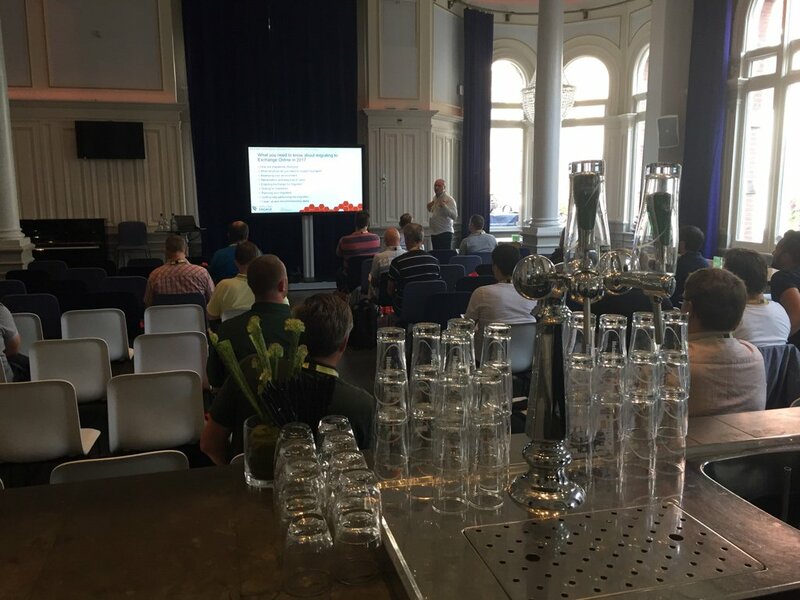 Last week the inaugural Office 365 Engage conference took place in the small but charming city of Haarlem, The Netherlands. With hotels for speakers and attendees close by, the event took place in the Philharmonie, a venue normally used for concerts and theater performances. This lead to some amazing shots on social media of sessions being held in “Room A” (the theater), “Room B” (with bar) and “Room E” (the concert hall). With Tony Redmond being the chair for this non-Microsoft event, one of the few big Microsoft-technology related events remaining in Europe, organizer BWW Media Group managed to attract an amazing line-up of speakers. Amongst them were quite a number of Microsoft MVP’s, some like Paul Robichaux or Chris Goosen even flying in from overseas. Being sort of a home game to me, it was other speaker’s turn to having to cope with jetlag. Sessions presented were on all things Office 365 related, such as Azure AD, Exchange Online, SharePoint Online, Groups and Teams, and also more dev-oriented sessions on things like the Graph API. Also, more generic topics were also put to the table, like the roadmap and coping with continuous development, GDPR or hybrid strategies. On Monday, Jaap Wesselius and I held a full-day workshop on PowerShell for Office 365. The attendees were coming from all over Europe, which shows that there is a demand for an European event of this size on this topic. On Tuesday, I presented a session on Managing Exchange Online using PowerShell, Tips & Tricks. Pending feedback from evaluations, the workshop and session went very well. For those that attended our workshop on Monday, PowerShell for Office 365, or my session on Tuesday on Exchange Online and PowerShell Tips & Tricks, the slide decks will be made available later through the organizer. Sample code from the session is available from the TechNet Gallery here. Finally, a big thank you to BWW’s Megan Keller, their CEO George Coll, and all the other staff as well, who made speakers and attendees feel welcome at this event, which was small and intimate, a different experience from more massive events like Microsoft Ignite. Also a big thank you to the folks of Quadro-Tech for sponsoring the post-conference drinks. With everything being walking distance, and with pleasant summer weather, the after-conference hours for catching up with peers and attendees were very enjoyable. BWW was also so kind to offer us speakers a boat trip, where we could experience Haarlem from the waterside, including the obligatory snapshots of windmills, fields and cows. Note that the organizer is still looking for feedback on the event. Share with them what you like or didn’t like, so they can improve next year’s conference. I am really looking forward to next year’s event, to be held in June 2018, and would highly recommend it to anyone. Hope to see you there next year! Updating hybrid configuration failed with error ‎’Subtask Configure execution failed: Configure IntraOrganization Connector Execution of the Get-IntraOrganizationConfiguration cmdlet has thrown an exception. This may indicate invalid parameters in your hybrid configuration settings. Multiple OnPremises configuration objects were found. Please use the OrganizationGuid parameter to select a specific OnPremises configuration object. Copy the Guid value, in the example 1a95d446-ff56-4399-a95e-8ab46c30912b. Connect to Exchange Online (instruction here). Check the existing On-Premises definitions in your tenant by running Get-OnPremisesOrganization. There should be more than 1 entry. After removing these orphaned objects, you should be able to run the HCW succesfully. A quick heads-up on the Hybrid Configuration Wizard (HCW) in Exchange 2013, which is broken. The HCW in Exchange 2010 does not have this issue. The issue has been documented in KB2988229. An Interim Update is available, as reported here. The IU is available for Exhange 2013 Service Pack 1 (CU4) and Cumulative Update 5. Unfortunately, the IU is not available publicly, but must be requested through support. The fix will be incorporated in Exchange 2013 Cumulative Update 6. If you must, you can use Exchange fellow Steve Goodman’s instructions documented here, which describes the process to manually configure Exchange 2013 Hybrid deployments. Be advised that, as Steve also points out, the Exchange Hybrid deployment support status depends on the ability to run HCW successfully. Multifactor Authentication is a must-have for services based in the cloud, especially for accounts with administrative purposes. 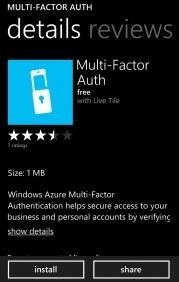 We have already covered what Office 365 Multifactor Authentication is and how to configure it in Office 365 tenants with the Office 365 admin center, and we briefly showed the end user experience. Now we will look at how we can use the Azure Active Directory Module for Windows PowerShell to configure Office 365 authentication with MFA. Azure Active Directory Module for Windows PowerShell (AADMPS) enables organizations to not only configure MFA for existing end users who use PowerShell, but also enhance their current provisioning process with MFA options. By pre-configuring MFA, administrators can prevent end users from having to go through the initial MFA setup process and use their currently configured mobile phone or office number for verification. Multi-Factor Authentication identifies an end user with more than one factor. Authentication is based on something you know, such as your password; something you have, such as a security token or smart card; or something that’s a physical characteristic of who you are, such as biometrics. By creating an additional factor on top of the password, identity is better protected. Multi-Factor Authentication is seen as a must-have for cloud-based services, especially for administrative types of accounts. 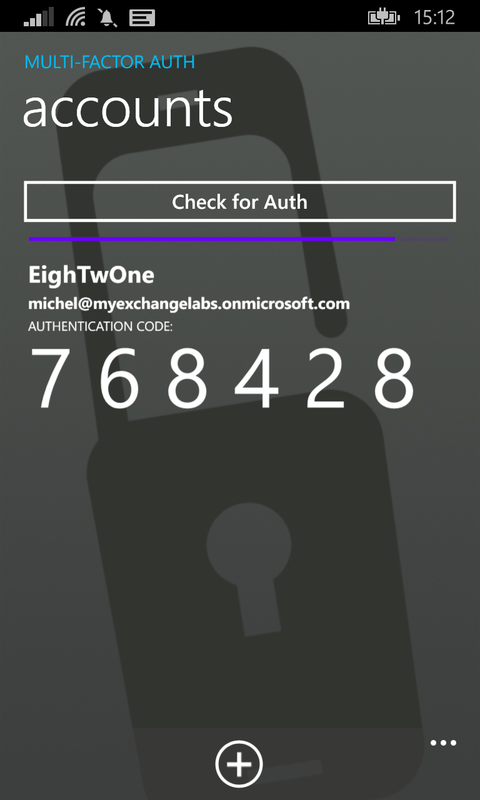 In this first tip on SearchExchange, I explain how you can configure Multi-Factor Authentication in Office 365, discuss the so-called contact methods, explain app passwords for non-MFA applications as well as show the MFA end user experience. Changed parameter Mailbox, you can now use an e-mail address as well. Added item class and size for certain duplication checks. Remove items after, not while processing folder. Avoids asynchronous deletion issues. Added parameter PartialMatching for partial class name matching. Changed item removal process. Remove items after, not while processing folder. Avoids asynchronous deletion issues. Deleted Items folder will be processed, unless MoveToDeletedItems is used. Changed EWS DLL loading, can now be in current folder as well. Be advised I keep am overview of the scripts and their current versions with publish dates here. Be advised that when accessing shared mailboxes on Office 365 using Outlook in online mode, you may experience an issue with Outlook not properly updating the mailbox view. Instead, Outlook will return a “There are no items to show in this view” message. The folder in the folder navigation pane displayed the proper number of (unread) items in the folder. This could be the symptom of an issue which was already solved in Exchange 2010 Service Pack 1 Rollup 5. It seems the Office 365 data centers are not running a current version of Exchange, as today I received the message the Office 365 environment is currently being upgraded with Exchange 2010 Service Pack 2. The message also mentions the upgrade is to be completed at the end of the month. More information on the issue in knowledge base articles kb2500648, announcing the fix is included in Exchange 2010 SP1 RU5. Until then, the suggested workaround is to click one of the columns twice after which Outlook will update the view properly. Of course, you could also enable cached mode, if your setup and company policy permits (e.g. not running Outlook on terminal server).